A few miles to the southwest of the center of Mexico City is a neighborhood that started out as a race track for horses and then cars. Circling the oval-shaped Parque Mexico is a street named Calle Amsterdam that is lined with some of the city’s most interesting and charming houses, buildings, and parks. Officially in the Hipódromo neighborhood between the La Condesa and Roma neighborhoods, Calle Amsterdam has a wide, tree-filled pedestrian median that functions like a track in a stadium, where you’ll see strollers, joggers, and dog-walkers using the street to get their exercise and to unwind from the urban intensity of other parts of the city. When viewed from above or on a map, Calle Amsterdam’s oval shape mimics that of a race track and, in fact, the street traces the course of the original track that occupied the space between about 1910 and 1925. The center of the oval, where the Parque Mexico now sits, would have been the infield of the track. 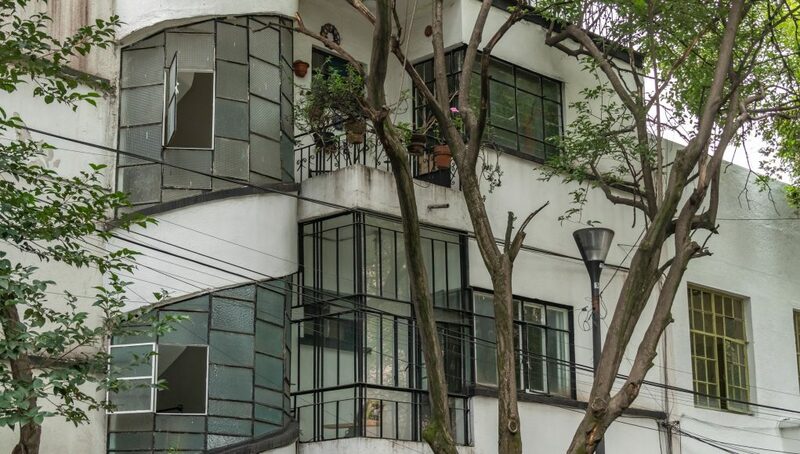 Now Hipódromo is one of Mexico City’s most chic neighborhoods, filled with bars, restaurants, spas, hotels, and beautiful art deco homes and buildings. One of the houses was designed and built by renowned Mexican architect Teodoro Gonzalez de Leon. 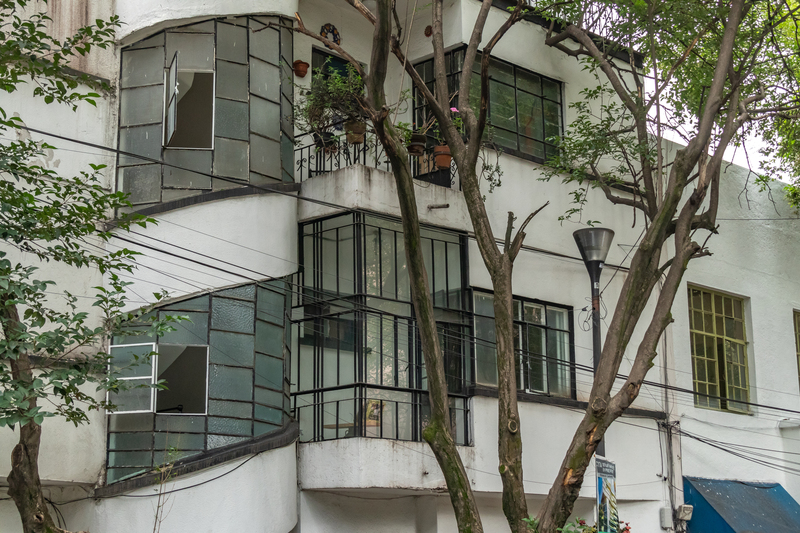 An art deco house along Calle Amsterdam in the Colonia Hipódromo. The shady median of Calle Amsterdam doesn´t look like it´s located in the center of the largest metropolitan area in the Western Hemisphere. The Casa Amsterdam, by architect Teodoro Gonzalez de Leon. The Edificio Tehuacan and its haunting face-shaped planter. The colorful doorway of one of the houses along Calle Amsterdam. Even the park benches are art deco along Calle Amsterdam. The fountain at Plaza Citlaltépetl makes a good spot for a picnic. This is the front door of the aptly-named Edificio Rosa on Avenida Mexico. The fountain in the Plaza Popocatépetl in the Amsterdam neighborhood of Mexico City. Along Calle Amsterdam’s circular span, you can find many cozy cafes and restaurants. It appears that the owners of this house are trying to hide it with a camouflage paint job. The art deco facade of Edificio Basurto was heavily damaged in the 2017 earthquake and is currently undergoing repair. Shops and restaurants around the edge of one of the plazas in the Hipódromo neighborhood. Next articleThese crude markers honor Argentinian heroes.